The Head of the Laboratory – Anatoly Mikhaylovich Korobov – is the editor in chief of the “Photobiology and Photomedicine” Journal and permanent host of all the conferences “Application of Lasers in Medicines and Biology”. He is also the Chairman of the Task Group “Laser Technologies in Medicine” of the Ministry of Health of Ukraine and Academy of Medical Sciences of Ukraine. 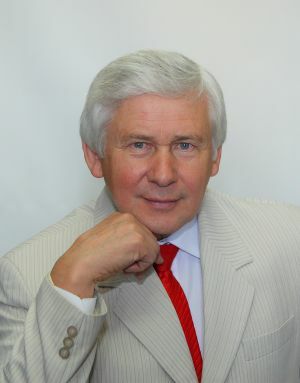 A.M.Korobov author of 3 monographs, nearly 500 articles and abstracts, more than 10 patents of Ukraine, author of more than 90 vehicles for phototherapy and their modifications. It is planned that the potential recipient is the Quantum Biology and Quantum Medicine Research Laboratory of V. N. Karazin Kharkiv National University. Employees of the Laboratory have been working in the sphere of photobiology and photomedicine for more than 25 years. The Laboratory team carries out fundamental researches of regularities and mechanisms of action of low intensity electromagnetic radiation of optical range on various systems of biological subjects (experimental animals, volunteers). On the background of the received data of fundamental researches, the Laboratory team develops methods of treatment and prevention of the most frequent human diseases using EROR. The fundamental and applied researches are carried out both at the expense of base financing and international grants (4 grants has been obtained for the last 6 years). 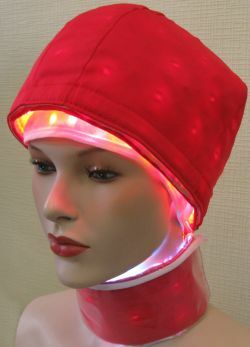 To implement the developed methods of treatment and prevention of the most frequent human diseases the Laboratory team, in cooperation with Research and Production Medical and Biological Corporation “Laser and Health” (Kharkiv city), develops and produces the photon devices. 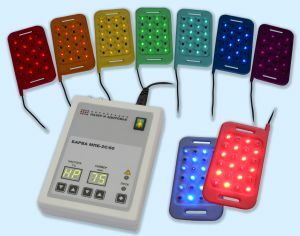 More than 90 models of the devices and its versions have been developed to date. The Laboratory publishes the International Research and Practice Journal “Photobiology and Photomedicine”. Moreover, the Laboratory is the leading host of the International Research and Practice Conferences “Application of Lasers in Medicines and Biology” which are carried out twice a year. 41 conference has been carried out to date. In its researches, the Laboratory team works in close cooperation with many departments of V. N. Karazin University, research institutions of Kharkiv city, Ukraine and foreign countries. Prevention and treatment of neurological diseases caused by acute and chronic ischemic attack, Alzheimer’s disease, Parkinson’s disease, meningitis, herpes encephalitis, epilepsy, migraine, and other diseases of the brain, which are difficult to medical treatment, and alopecia. Prevention and treatment of the most common human diseases (myocardial infarction, stroke, hypertension, hypotension, influenza, tuberculosis, pneumonia, bronchitis, asthma, gastric ulcer and duodenal ulcer, osteochondrosis, vegetative-vascular dystonia, neuralgia, sinusitis, otitis, arthritis, arthrosis, allergies, hemorrhoids, prostatitis, Andechs, trauma, burns, frostbite, etc. ).